A sculptural bike rack designed, fabricated, and installed by Ann Armstrong. 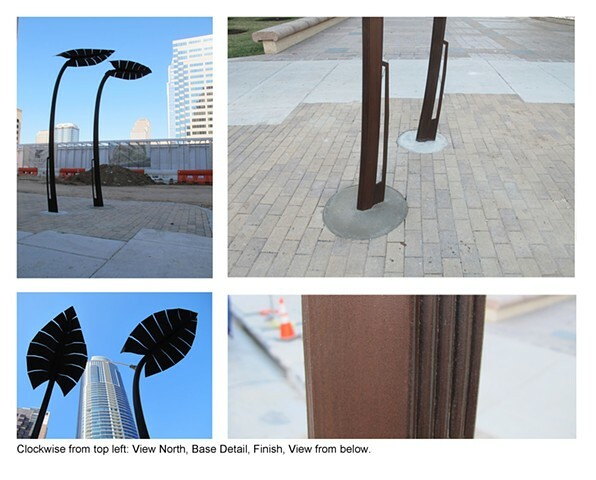 Brought to you by Austin Art in Public Places and the Downtown Austin Alliance. Location: E 2nd St. at Congress, Austin, Texas. Art & Labor: a short film about the making of the bike rack.